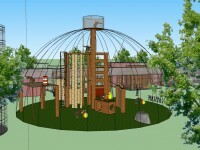 Project Oliver – the web series, hopes to inspire the funding, design and building of a new green space that will be built in Oliver the chimpanzee’s memory. That dome-shaped habitat will have a grass bottom with various climbing structures and enrichment elements. 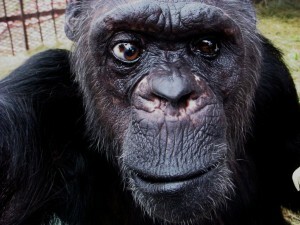 Tunnels from other habitats would enable different chimpanzee groups to take turns enjoying this new environment. Many of them will be able to walk on the grass for the first time in years. The series features animal stories, expert interviews and the sanctuary’s efforts building this new living area. Additionally, we are assisting Friends of Animals and Primarily Primates with fundraising for this amazing project. Most of the chimpanzees that will benefit from “Oliver’s Playscape”, came from laboratories and the entertainment industry where they once lived in cages no larger than four feet wide by seven feet tall. To learn about other ways you can help, please visit our support page. 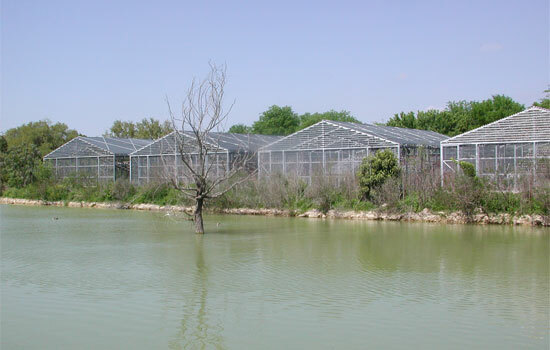 In 1997, these four grass-bottomed chimpanzee habitats were built on the sanctuary pond and are currently home to several chimpanzee groups. Oliver’s new habitat may be similar in size and design. 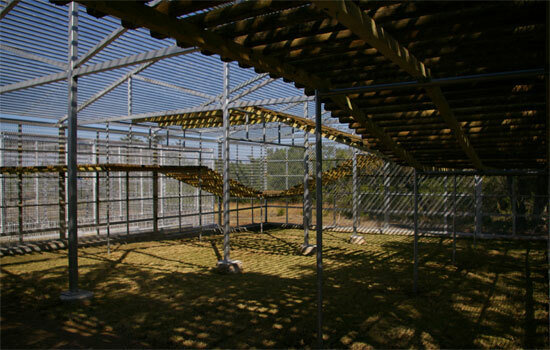 The climbing structures provide shade and offer the chimpanzees more area to explore. 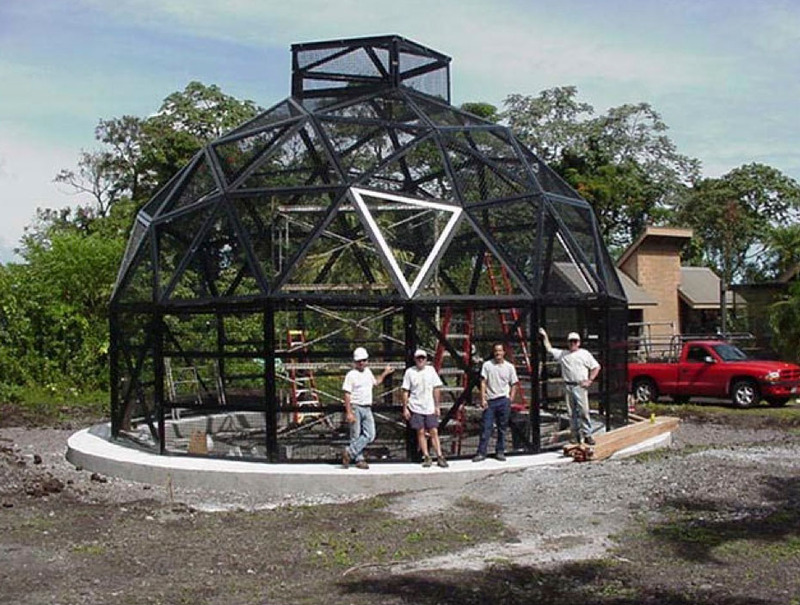 This is an example of what the Primadome will look like under construction. 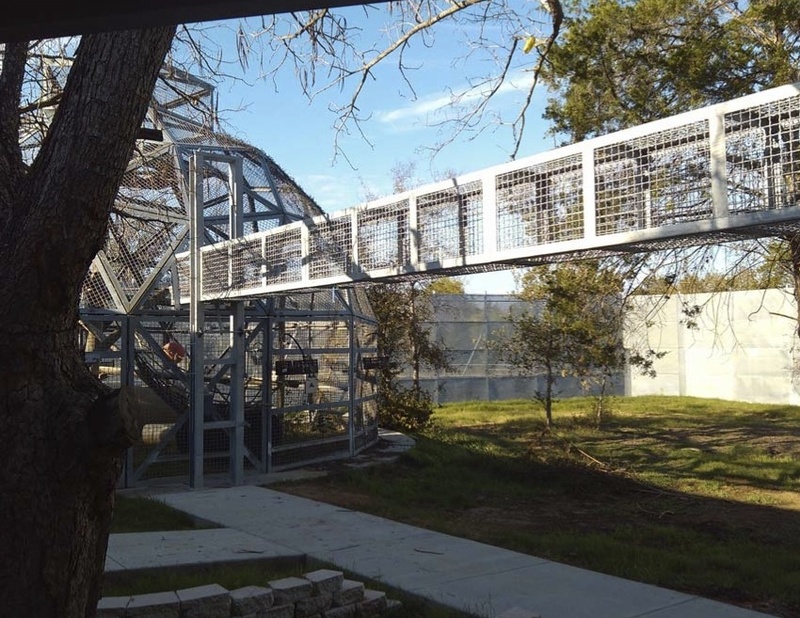 This is an example of a “Sky Tunnel” that will allow different chimpanzee groups access to the new playscape.